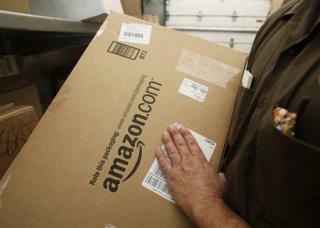 (Newser) – An Indiana couple has admitted stealing more than $1.2 million in merchandise from Amazon in an elaborate scheme. Erin Joseph Finan, 38, and Leah Jeanette Finan, 37, pleaded guilty in federal court in Indianapolis to charges of mail fraud and money laundering in connection with the racket, the Star Press reports. The duo bought hundreds of electronics such as Go Pro cameras, Samsung smartwatches, and Xboxes, then told Amazon the products weren't working and requested replacements at no charge. The couple created "hundreds" of false identities to conceal the scam. Amazon is the one who decides whether or not I need to return the merchandise, usually they do, sometimes they say keep it, so the only way these people could have ripped off Amazon is if they told them to kepp the "defective" item, sounds like Amazon got mad at their own stupidity. By why doesn't the fed go after Amazon for fraud? I can point to at least a couple dozen instances I personally know of where Amazon has been removing negative reviews of products so they don;t get stuck with some chinese crooks inventory, in at least two cases the items feedback indicated they were actually dangerous fire hazards or worse and Amazon let the seller re-list them under a new account and item number to bury the bad feedback. I'm confused. Over the past 15 years, 4 things I got from Amazon didn't work. 2 were electric blankets and I can't remember the other 2. In every case, I had to send the damaged product back at THEIR cost. I didn't' get to keep it (and didn't want to since it was damaged).